Circulating B-cells with cytoplasmic projections (“hairy” appearance). Hairy cell leukemia is relatively uncommon and accounts for 2% of all leukemia cases, which is about 600-800 new patients diagnosed each year in the USA. It has an extremely low incidence in Japan. The disease is observed more commonly in whites and occurs predominantly in middle-aged men, with a median age of 52 years. The male-to-female ratio is 4:1. The most common symptoms and presenting complaints in hairy cell leukemia are weakness and fatigue due to anemia. Approximately one-third of patients have bleeding from thrombocytopenia, and another one-third have fever and infections from neutropenia. Symptoms related to organ infiltration of the reticuloendothelial system may occur. Abdominal discomfort from an enlarged spleen is present in one-quarter of patients. Some patients may present with weight loss, fever, and night sweats, similar to other lymphoproliferative disorders. Hairy cell leukemia is associated with gram-positive and gram-negative bacterial infections, as well as atypical mycobacterial and invasive fungal infections. Other opportunistic infections, such as Legionella, toxoplasmosis, and listeriosis, have been reported. Other uncommon conditions may be associated with hairy cell leukemia, such as acquired factor VIII antibodies, paraproteinemia, and systemic mast cell disease. In addition to the B-cell antigens CD19, CD20, and CD22, the cells coexpress CD11c, CD25, and CD103 and single or multiple immunoglobulin light chains κ λ. The bone marrow aspirate is usually unsuccessful due to a “dry tap.” Infiltration of the bone marrow by hairy cell leukemia makes aspirating cells through a needle difficult. Core biopsy of the bone marrow shows a pattern of hairy cell infiltration with a single round or oval nucleus separated by abundant cytoplasm in a fine fibrillar network. The cell appears separated, resulting in the characteristic fried-egg appearance. When the bone marrow aspirate is not obtainable, immunohistochemical staining of the bone marrow biopsy with either DBA.44 or anti-CD20 yields an accurate estimate of the extent of bone marrow infiltration. In addition, it is important to recognize the occasional patients who present with hypocellular marrow and differentiate them from aplastic anemia. An accurate diagnosis is important in this highly treatable leukemia for successful patient management. Clonal cytogenetic abnormalities are present in two-thirds patients, and the involvement of chromosomes 1, 2, 5, 6, 11, 14, 19, and 20 have been described. Chromosome 5 abnormality is most frequent (in 40% of patients) with trisomy 5 and pericentric inversions and interstitial deletions of band 5q13. The BRAF-V600E mutation is a hairy cell leukemia–defining genetic lesion that can be used diagnostically. The decision to treat is based on symptomatic cytopenias, massive splenomegaly, or the presence of other complications. About 10% of all patients will never require therapy. Progressive hairy cell leukemia, either post-splenectomy or post–systemic therapy. Progressive hairy cell leukemia post-splenectomy (or after any systemic therapy), is characterized by progressive bone marrow replacement by hairy cells with pancytopenia refractory to treatment. For patients with advanced hairy cell leukemia treated with cladribine (2-chlorodeoxyadenosine, 2-CdA), pentostatin, or interferon-alpha, the survival rate appears to be higher than 85% at 5 years after the initiation of any one of these therapies. Not all patients will require treatment immediately after the diagnosis is made and can be monitored until it is needed. This ‘watch and wait’ surveillance approach can be difficult for patients and their families and generates a lot of anxiety. Other patients will clearly need treatment straight away because of symptoms and/or very low blood counts. The decision of when to start treatment depends upon the symptoms experienced by the patient and the degree of abnormality in the blood count. After treatment there is almost always a further, temporary, fall in normal counts before they recover as it takes time for the disease to clear from the bone marrow. Recovery usually takes 3-6 weeks. Infection is the biggest risk, before, during and for a period after, treatment. It is important to treat any active infection effectively before any therapy for the HCL is started. 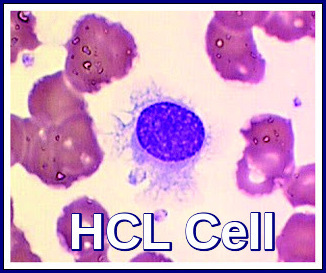 It is rare that treatment is needed urgently for HCL. Therefore, careful clinical judgment is necessary to make the best decision for each individual patient regarding the optimal time to start treatment for the HCL. For the past 30 years, the mainstay of treatment for HCL has been with 2 drugs in the group of purine analogues called pentostatin and cladribine. Pentostatin was the first to be introduced in the 1980s and then cladribine in the early 1990s so there is now a great deal of experience and long-term follow-up with these agents. Both are highly effective at inducing a remission (in almost 100% of patients) with no significant difference between the two. Most of these remissions are complete (CR) i.e. no sign of any remaining disease in the bone marrow using standard methods. Such remissions often last for very prolonged periods of time (more than 10 years). Both are highly effective at inducing a remission (in almost 100% of patients) with no significant difference between the two. Most of these remissions are complete (CR) i.e. no sign of any remaining disease in the bone marrow using standard methods. Such remissions often last for very prolonged periods of time (more than 10 years). Cladribine can be given in a number of ways including as a 7- day continuous IV infusion (which may require a hospital admission), daily or weekly IV infusions for 6 doses or as a subcutaneous injection on 5 consecutive days. There is no evidence that these are not all equivalent in terms of effectiveness and the choice will largely depend on the physician and patient. Most can be given as outpatient treatment. Pentostatin is administered as a short intravenous (IV) infusion every 2-3 weeks until a remission is achieved (usually 8-10 injections). It is excreted in the body by the kidneys and it is, therefore, important to check renal function to ensure this is normal. The dose of pentostatin needs to be reduced in renal impairment. Pentostatin and cladribine also cause a more prolonged suppression of the immune system and advice should be given about the signs and symptoms of infection to be on the watch for. Infections should always be taken seriously as prompt treatment is important. Prophylactic antibiotics/antivirals e.g. Septrin and Valaciclovir are usually prescribed to reduce the risk of infections. In the case of cladribine, it is better to start these after the first-week course of treatment has been given since rashes can sometimes occur when the drugs are given concurrently. Occasionally growth factors (eg GCSF) may be given to speed the recovery of the neutrophils. Other supportive drugs such as allopurinol are not usually needed. Blood transfusions, if required, should be with irradiated blood. Rituximab used as a single agent in first-line treatment of HCL is not as effective in inducing remissions as the purine analogues. Its use would be reserved for patients unable to tolerate purine analogues. There is early evidence that better remissions may be achieved with the combination of rituximab and a purine analogue (pentostatin or cladribine). Because of the very good results with purine analogues alone for most patients the addition of rituximab is often reserved for those patients who do not achieve a CR or who relapse earlier than expected after treatment. Novel Agents: Targeted therapies such as immunoconjugates (moxetumumab pasudotox), BRAF inhibitors (eg vemurafenib) and B-cell receptor inhibitors (eg ibrutinib) all have activity in HCL. Currently, these have been examined in relapsed or refractory HCL and only in a very small number of patients (in whom purine analogues cannot be given) as first-line therapy. A number of clinical trials are being undertaken to evaluate these drugs further. Usually, within a few weeks of receiving treatment the blood counts begin to recover and will often return to completely normal levels. However, to assess response an examination of the bone marrow is necessary. This will not be taken for at least 3-4 months as it takes time for the treatment to have its full effect. Studies have shown that in those patients who have obtained a CR, the remission lasts longer. There are other more sensitive laboratory methods which can assess ‘minimal residual disease’ or MRD, which may be present even in patients in a CR. It is not entirely clear what effect the presence of MRD has on outcome. MRD assessment is usually only undertaken in the setting of a clinical study and the results do not currently indicate any need to change the treatment plan. CT or US scans may be repeated, if they were abnormal before treatment, to assess response. Around 40% of patients will relapse, even if this is after 10 years or more. Regular monitoring will usually take place. This may only be once or twice a year for patients in a stable remission. Relapse is usually indicated by falling blood counts and confirmed by examination of the bone marrow. Retreatment is nearly always successful although the remissions tend to last for a shorter period of time when the same treatment is given again. Foucar K, Falini B, Catovsky D, et al. 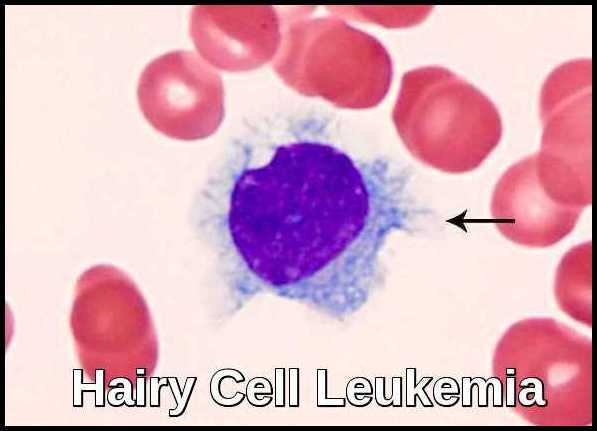 Hairy cell leukemia. In: WHO classification of tumours of haematopoietic and lymphoid tissues, vol 2, 4th ed. Geneva, Switzerland: World Health Organization Press; 2008:188-190. Jones G, Parry-Jones N, Wilkins B, et al. Revised guidelines for the diagnosis and management of hairy cell leukaemia and hairy cell leukaemia variant. Br J Haematol. 2012;156:186-195. Gidron A, Tallman MS. Hairy cell leukemia: towards a curative strategy. Hematol Oncol Clin North Am. 2006;20:1153-1162. Robak T, Matutes E, Catovsky D, et al. Hairy cell leukaemia: ESMO clinical practice guidelines for diagnosis, treatment and follow-up. Ann Oncol. 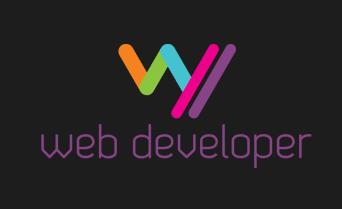 2015;26(suppl 5):v100-v107. Dearden CE, Matutes E, Hilditch BL, et al. Long-term follow-up of patients with hairy cell leukaemia after treatment with pentostatin or cladribine. Br J Haematol. 1999;106:515-519. Piro LD, Carrera CJ, Carson DA, et al. Lasting remissions in hairy-cell leukemia induced by a single infusion of 2-chlorodeoxyadenosine. N Engl J Med. 1990;322:1117-1121. Cassileth PA, Cheuvart B, Spiers AS, et al. Pentostatin induces durable remissions in hairy cell leukemia. J Clin Oncol. 1991;9:243-246. Thomas DA, O’Brien S, Bueso-Ramos C, et al. Rituximab in relapsed or refractory hairy cell leukemia. Blood. 2003;102:3906-3911.